• Brew the tea, strain and refrigerate. • Mix the tea and cold milk with the cardamoms and strain. 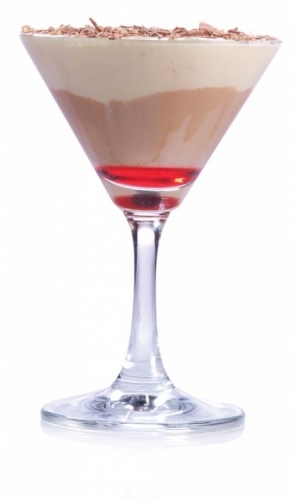 • Pour Grenadine, the milk tea and top off with the ice cream to create a layered effect.